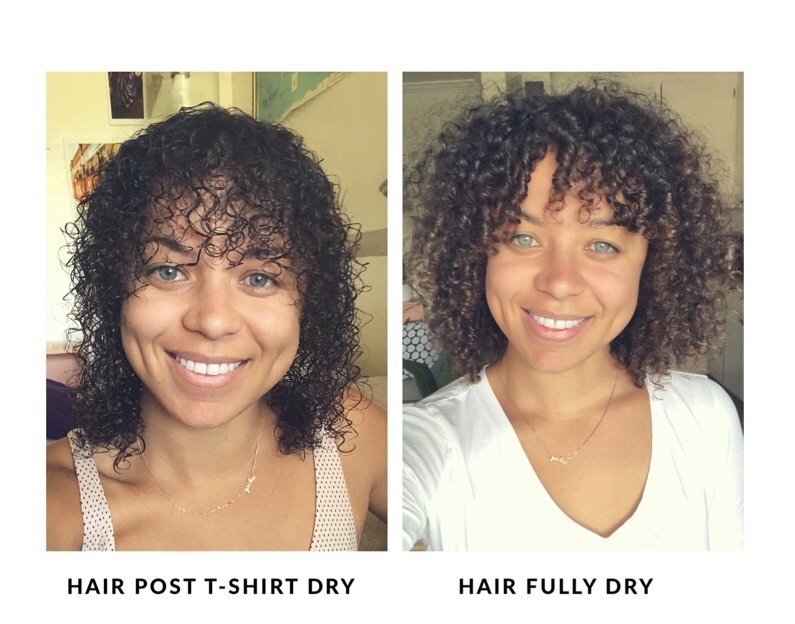 I’d been meaning to share my current wash and go routine for some time. Over the last year, since moving into my new place, I’ve kept a consistent routine that gives me the results I love. Quick Background on my hair – I have fine, low-density hair that ranges anywhere from 3b to 3c, depending on the location on my head. That means I have spiral curls, s curls, and some wavy bits, that love moisture, but can easily be weighed down flat with too much product. Since going natural, it’s taken a good amount of trial and error finding the right products and routine to produce the best results. If you want to learn more, you can read more about my hair type here. 1. Condition. First thing I do when I get in the shower is rinse my hair off and apply conditioner. I let the conditioner sit and marinate while I carry on with the rest of my shower. I’m currently using Shea Moisture Coconut & Hibiscus Conditioner. 2. Finger detangle. When I’m finished with everything else, it’s time to revisit my hair. I separate my hair into 4 sections and work my fingers through each section, picking apart knots. 3. Brush out gnarly patches. I try not to brush my hair more than a couple times a week, so I use my brush sparingly, only brushing out sections if necessary. Most days I use a modified Denman brush to detangle. I removed two rows of bristles by sliding out the rubber, brush head, then popping out rows of bristles. Since my hair is so fine, I don’t require as many rows. 4. Rinse. I turn the water down a bit, then thoroughly rinse the conditioner out of my hair. Since I only use shampoo once a week, my daily washes rely on conditioner to cleanse. 5. Apply a bit more conditioner to leave in. After rinsing, I’ll apply less than a quarter size of conditioner to keep my curls smooth. I find if I don’t have any conditioner, my hair will be too frizzy. 6. Wrap hair in hair-friendly cloth to absorb excess moisture. I usually use an old cotton t-shirt to wrap my hair up in a knot on top of my head. Microfiber towels, like this one by DevaCurl, work well too and are more absorbent than t-shirts. 7. Apply leave-in. After drying my hair for a few minutes, I apply a generous glob of Camille Rose Moisture Milk leave-in conditioner. It’s the perfect weight for my hair – not too heavy while also providing great moisture. 8. Let hair dry a bit. This is a key step for me. If I go right into adding coconut oil or styling cream onto my wet hair, it will weigh it down and make it greasy. 9. Apply coconut oil and styling cream. This one depends on how my hair is drying, if its looking a little dry, I’ll add a bit more leave-in. If not, I apply a small amount of coconut oil to my hand and then run my finger through 75% dry hair. I also use about a quarter size of Miss Jessie’s Curly Pudding on certain areas. I love this product in moderation – it is the heaviest product I own and provide the much needed hold to the sections of my hair that are prone to frizz. For me, that’s the hair that frames my face as well as a chunk of hair in the middle of my head. 10. Air dry. Most days I’ll let my hair air dry because I get the best results this way. And there it is, my every day wash and go routine. Honestly, while ten steps seems like a lot to do everyday, everything moves along pretty quickly. I am able to style my hair, post-shower, in a few minutes so I can get it started drying before I head out for work. 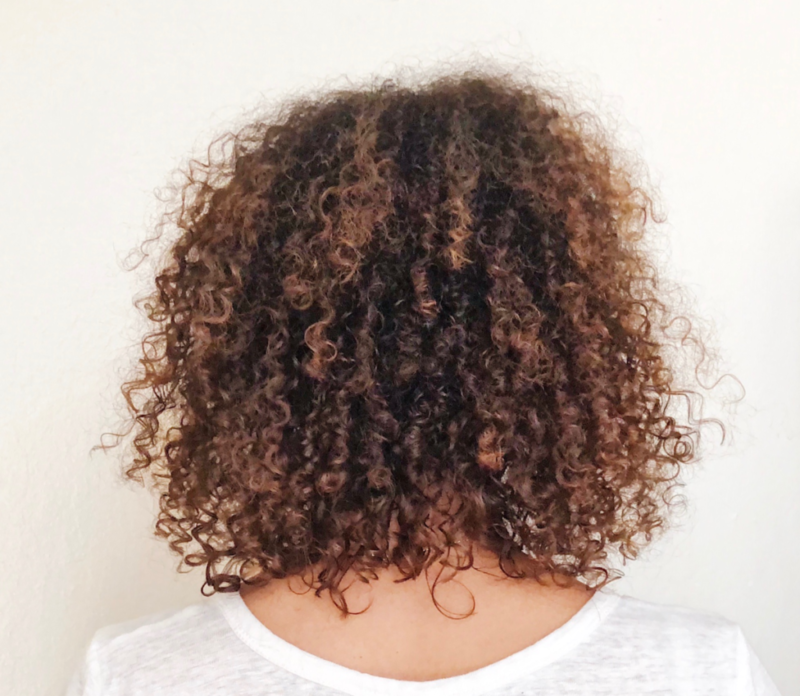 Winter Wash Routine: More Moisture for the Curls!